Aven Colony – Available to pre-order now! We’re pleased to announce that Aven Colony will be launch for Steam, PlayStation 4 and Xbox One on 25th July! What’s more, you can pre-order right now to receive 10% off and access to bonus sandbox map Cerulean Vale – a treacherous ancient seabed. Barren and hostile, do you have what it takes to survive this crystalline wasteland? 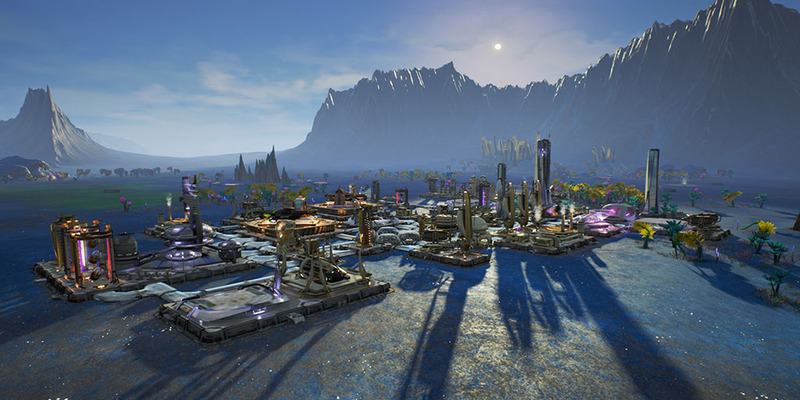 Just in case you’re wondering what all the fuss is about, Aven Colony is a sci-fi city builder from Texan developers Mothership Entertainment. You are given the not so simple task of building, exploring and protecting your colony to ensure the survival of the human race on alien planet Aven Prime. Nurture settlements in vast wetlands, snowy tundra and perilous deserts and create a safe haven for humans on Aven Prime. With a dedicated campaign and story, plus an expansive sandbox mode, there’s plenty of opportunity to delve into Aven Prime’s mysterious past or just grow accustomed to the locals. You can pre-order Aven Colony for Steam, PlayStation 4 (EU) and Xbox One to receive 10% off and access to bonus sandbox map Cerulean Vale! Brand new multiplayer trailer for The Escapists 2!